Event date Feb 27th, 2019. To register, fill out the details and click "SUBMIT"
Mathnasium is very foxused on customer support and changed the tutoring to align to my daughters short term needs of 0assing the keystone. Seeing better grades and more confidence in daughter. 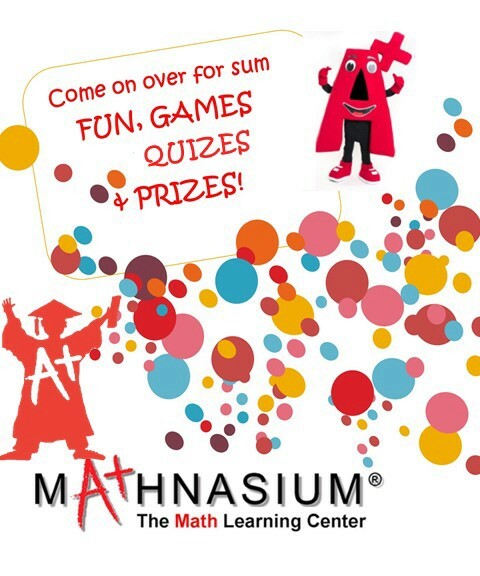 Mathnasium has helped my daughter’s grades improve significantly. A subject that was once her worst is now her best. It is exciting to see how well she has done and the improvements she has made! I would definitely recommend Mathnasium to anyone. Within couple weeks of attendance, my daughter's senses became heightened in exploring the world of Math. This team i would say, is the best in what they do. They effortlessly in a very nurturing environmennt sharpened her math skills. She can now confidently solve a math problem with varied methodology, depending on which she's comfortable with and still arrive at the same correct answer.They move you to the next higher level after you have gained a mastery of the concept. I also love the drop-in nature of the program where you choose the days and times that fit your schedule. She's learning so much in a very fun way. We are members of the Mt. Lebanon Mathnasium. Our son is receiving an individualized curriculum and receives Top Notch detailed attention from the professionals. They assess his progress, they provide reports, and even gave us, as parents, the option to sit and review the assessment data 1:1 with staff. Our local school district is very competitive, so this type of attention to detail they have provided to his individual needs is the only option we have found to help him to succeed. My son really looks forward to going to mathnesium. The work that he is doing with the mathnesium teachers is really increasing his math knowledge and his confidence! Couldn’t be more satisfied with our experience! It’s truly been transformational for my son when it comes to geometry. Thank you! My son comes home happy. He always says "That hour went fast!" Thank for making math enjoyable and productive. Being an Upper St. Clair family, we are always bombarded with educational marketers knocking on our door or otherwise. There is simply so much competition. With that said, we extensively researched the differences of hiring a private tutor versus Mathnasium. After seeing results at Mathnasium, we noticed their tutors go through training, are background checked, are warm, and undergo competency testing. Their tutors work from a curriculum and they have also helped with homework. The hours and availability works very well with our child's schedule. Given the costs for private tutoring, Mathnasium is a more cost effective, safe, and professional environnent which is delivering the desired results. I loved to see that my son was able to push himself in math and be supported in a positive and calm environment. The one-on-one instruction my daughter receives has really helped her grasp concepts with which she previously struggled and has given her more confidence in her math skills. We also love the flexibility and ability to 'walk-in' for a session instead of adhering to a strict tutoring schedule. We are so very happy! The director and teachers are all wonderful at this center. My 2 sons go there for a head start in 5th grade math this summer and it has really boosted their confidence. Everyone is very nice & my son is happy to come - does not resist at all. Too soon to tell how much it is helping with Math, but the fact that he is happy to come is a very good sign. My kids get the personal attention and get one on one with a teacher everyday.